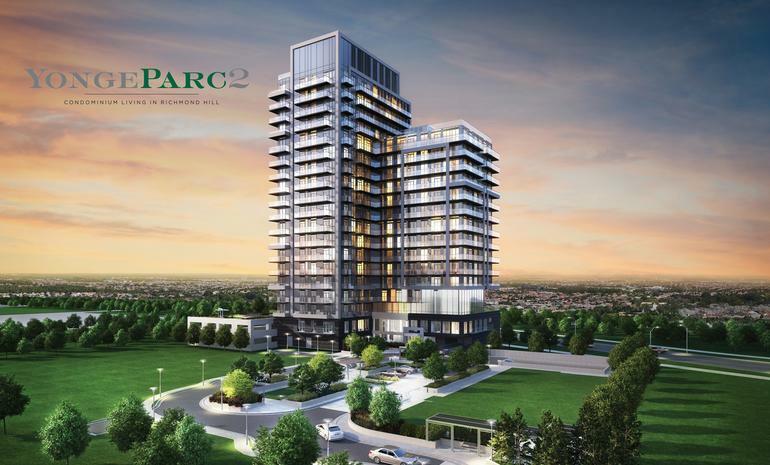 YoungeParc 2 Condos is a pre-construction condominium development by popular developer Pemberton Group of Richmond Hill. However, the occupancy date for this great project is in 2021. This complex in Highway 7 of Richmond hills is providing the best opportunity for the people especially looking for top modern condominium lifestyle. Architecture Graziani + Corazza Architects Inc. and interior designing by Tanner Hill Associates Inc. is turning simple space at Richmond hill into great condos. The Building is set approximately in 8.5 acres and has Storeys with total 232 suites where each suite sizes from 580 to 1355 sq. ft. It is very close to area shops, shopping malls and restaurants. Maintenance fee at YoungeParc 2 Condos includes building insurance, 24-hours concierge, water, heat and is pet-friendly. When we talk about the amenities available here at YoungeParc 2 Condos then they are countless. Some of the best indoor amenities are private dining space with bar and catering kitchen, men and women saunas, fitness center, a boardroom. Outdoor amenities including a terrace with barbeque stations, two-Storey lobby are impressing people in the best way. Apart from the above-mentioned concierge here is available round the clock to provide best professional assistance to the residents. They are particular in providing best safety measures to the residence. What are the location advantages here? This particular location which is just off the Yonge Street is saving lots of valuable time of people especially when they plan to go on for shopping or restaurants. Yes, YoungeParc condos are located in such a way that it is just a few steps away from many popular restaurants and shopping malls. Right from swimming pools to theaters and golf clubs to country clubs all is just nearby. It is in fact, the best area especially for growing families and professionals that show great interest towards being close to major highways. Pemberton Group is proven as one of the top Ontario’s condo builders where it has a great history of over 50 years. An Italian immigrated to Canada; Marco Muzzo is a person behind the popularity of this well-known enterprise. The company slogan “it’s all about you” clearly tells the aim of this developer that make home purchasing experience of people more impressive than expected. Rosedale village golf and country club, Bluewater Condos, Bohemian Embassy Flats and Lofts, Vivid Condos and the Urban Townhome Collection are some of the popular projects of Pemberton Group. The head office of Pemberton Group is located in Concord, Ontario. • Located in the heart of Richmond Hill this new urban landmark is helping people live in a sophisticated space at impressive prices. • Residents will get a chance to experience first class lifestyle with all impressive amenities and shops and restaurants with easy walk distance. So, if you are looking for everything that a home should be, then make your way towards YoungeParc 2 that ensures the best value for your investment.